The Los Angeles Lakers were without Dwight Howard, Pau Gasol and Jordan Hill on Tuesday, and Kobe Bryant had six points at halftime. So it shouldn't be any surprise that the Houston Rockets defeated them, 125-112, pushing the Lakers further down the rabbit hole. After a back-and-forth first half, the Rockets unleashed their fast-paced offense in the third quarter, scoring an incredible 38 points on a combination of James Harden drives and Jeremy Lin three-pointers. Harden finished with 31 points. It was his 13th straight game with at least 25 points. And, in the lone Laker highlight of the night, Steve Nash recorded the 10,000th assist of his Hall of Fame career with a beautiful pick-and-roll dish to Antawn Jamison near the end of the first half. But a team with Kobe Bryant, Steve Nash and Metta World Peace should still play better than this. Houston trailed by as many as 14 in the first half, but used a pair of runs in the third quarter to go on top and build a big lead. World Peace had a season-high 24 points for the Lakers, who were playing without their top three big men: Dwight Howard, Pau Gasol and Jordan Hill -- who are all out with injuries. Bryant added 20 points for the Lakers and Nash had 16 points and 10 assists to become only the fifth player to surpass 10,000 career assists, joining John Stockton, Jason Kidd, Mark Jackson and Magic Johnson. Nash said he tweaked his back in the game, but that he was OK.
"It's really hard to enjoy it right now," Nash said of the assists. "I don't want to discredit it, or not appreciate the company I share in this milestone, but right now it's the farthest thing from my mind. We're just trying to find a way to win one game." The Lakers, who lost their fourth straight to fall to 15-19, are in 11th place in the Western Conference. "I thought we had the better team," World Peace said. "We definitely had the better team, but every night we have the better team and it's just not translating to wins." The Rockets have rallied from double-digit deficits for their last three wins. As usual, they did it on Tuesday night behind the strong play of Harden, who has scored at least 25 points in 13 straight games. 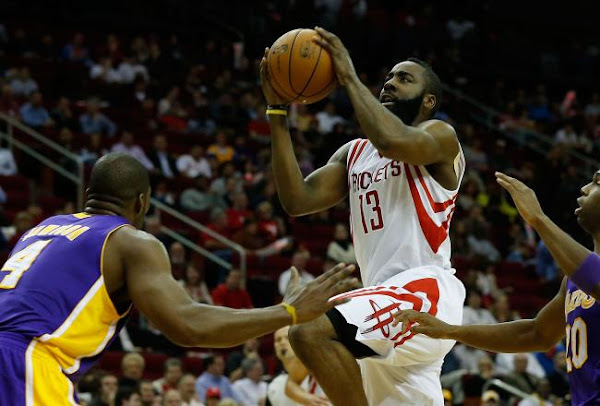 "They were short-handed tonight, but they are still tough," Harden said of the Lakers. "We knew we couldn't take them lightly. They did a great job in the first half of really getting easy shots on us. In the second half we started to pick it up defensively. We got out in transition and made some easy shots." Howard has a torn labrum in his right shoulder, Gasol has a concussion and Hill a right hip injury. All three are out indefinitely. Seven-foot rookie center Robert Sacre made his first career start due to the injuries, and finished with 10 points, four blocked shots and three rebounds. "We've just got to move forward," World Peace said. "We don't have time to feel bad for anyone. This team just has to push and move forward." Jeremy Lin chipped in 19 points with six rebounds and five assists for Houston, and Carlos Delfino also scored 19. The Rockets led by nine midway through the fourth quarter and used a 5-0 run highlighted by a three-point play by Lin to make it 112-98. 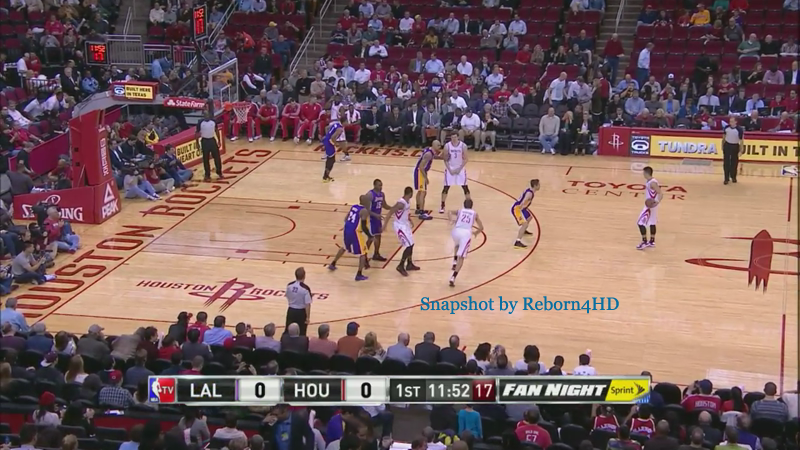 Lin drove to the basket and made the layup as he fell to the court after being fouled by Sacre. "There are some things we can clean up as a group and do a better job," Lakers coach Mike D'Antoni said. "A little more attention to detail and we'll do better." Houston used a 10-2 spurt early in the third quarter to tie it at 69 after a three-point play by Marcus Morris with 6 1/2 minutes left in the quarter. The Rockets then broke off a 23-11 run to take a 92-80 lead near the end of the third. Lin had nine points in that span and Harden added six. Bryant hit a jumper with about five minutes left in the third, and the Lakers didn't score another field goal until Chris Duhon made a 3-pointer with 48 seconds remaining in the quarter. Houston led 96-88 at the end of the third quarter. "Tonight we could offer up a number of excuses, but what is troubling is when we were healthy, we weren't stopping people, either," Nash said. The Rockets were still down by six midway through the second quarter before a 7-0 run capped by a 3 from Delfino gave them their first lead of the game -- 47-46 -- about five minutes before halftime. The game was tied a couple of minutes later when Nash scored five quick points to put the Lakers on top 56-51. Los Angeles led 62-59 at halftime. The Lakers led 18-4 early after a run where World Peace made two 3-pointers and Darius Morris made one. The Lakers were up by 13 later in the quarter before Houston used a 12-5 spurt powered by two 3s from Delfino to cut the lead to 34-28 at the end of the first quarter. Gasol was examined by a neurologist on Tuesday and was not cleared to play. He will be re-evaluated on Thursday. ... Harden's 13 straight games with at least 25 points are tied with Moses Malone for the such streak in franchise history. ... Delfino is shooting 61.3 percent from 3-point range in the last five games.